Ready to Join the Premier Online Medical Coding & Billing Membership? For the past several years, we've been hearing the same challenges being repeated by our students over and over again. We decided to get to work on the challenges and we've been quietly working on a membership solution to answer all those questions and more. The result is the CCO Club, a place where medical coders, billers, auditors and practice managers can convene to discuss, learn and expand their knowledge. Priority consideration for topic requests – your requests move to the front of the line! I appreciate all the hard work behind the scenes that everyone puts in to give us such great information! The information that the members and instructors share is always helpful. Being able to attend the webinars and see the presenters is amazing and you are able to ask questions and get immediate answers, just amazing. I really liked the BHAT® technique and it helped me pass a very difficult certification. I recommended it to all my co-workers and ladies that ask me where I get all my information from and want to get started in coding. I tell them all to go to CCO. Get Access to any (1) Course, (1) Review Blitz and (1) Practice Exam. Once you've completed it, pick a new one while you're an active, monthly Prime member at no additional cost. Then rinse and repeat! The first month requires a payment of $499 to get started. After that month is complete, subsequent, future payments will be $39.99 monthly (every 30 days to be exact). Your current monthly rate will be locked in as long as you're account is current and paid on time. You can cancel at any time by visiting your billing account at http://members.cco.us. Please read the Cancel FAQ at the bottom of this page for details. 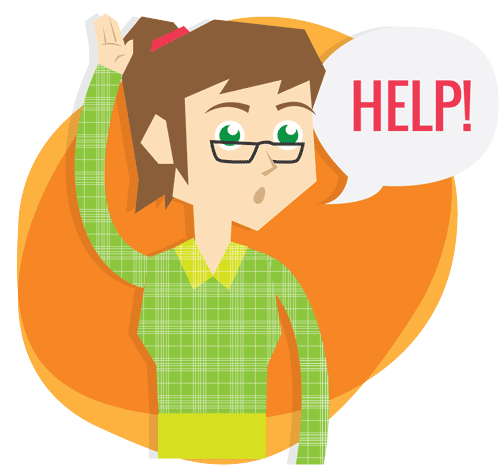 As soon as you complete the checkout, you will have the ability to pick a Course, Review Blitz and Practice exam to begin working on and our Help Desk will manually set up your access within 24-48 hours. You can take as long as you like on that Course, Review Blitz and Practice Exam (most students finish in 3-4 months). Once you've completed that course, you can reach out to the Help Desk to verify completion and start working on another Course, Review Blitz and Practice exam. You can keep taking and passing new courses while you're still a current, active member paying the $39.99 monthly. We call this “rinse and repeat”. If you have additional questions, please read the FAQ at the bottom of this page. We tried to include all the questions we routinely receive at the Help Desk. Every month CCO hosts a live webinar which fields questions from you and your peers. We prepare answers to your questions prior to the call and present answers via a live, engaging webinar. 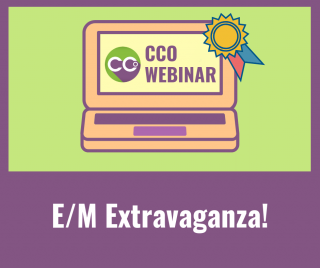 The CCO Club is perfect for anyone wishing to replay the Monthly Q&A Webinars that they either missed or would like to see again. It provides the full video recording, the full transcript, audio recordings, answer sheets, and a CEU quiz with a certificate. You can go back to the beginning of the year and earn a CEU credit for each month by taking a short quiz. Upon successful completion, you are given an AAPC CEU certificate. CCO frequently hosts a live Student Q&A Webinar video conference with current CCO students. During these events, students can ask any question about the course they're currently enrolled in and our instructors will help them while everyone listens in. ICD-10-CM, ICD-10-PCS, RA, and CIC students or those preparing for CPC, COC, CIC, CRC, CCS credentials. PBB and PPM students or those preparing for CPB or CPPM credentials. PBMA and Compliance students or those preparing for CPMA or CPCO credentials. PBC, FBC students or those preparing for CPC, COC credentials. 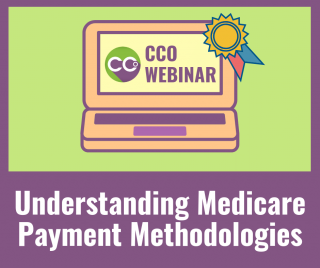 CCO hosts several CCO Club Q&A live events to help educate anyone interested in medical coding, billing and risk adjustment. During these events, we cover many topics for both beginners and veteran coders alike. If you are a current or past CCO Student, you're going to love this CCO Club benefit! If you've ever purchased and fully paid for any CCO Course or Review Blitz, you will receive continued access to these products as long as you are a CCO Club member in good standing. Even if you purchased the Course or Review Blitz 2-3 years ago, you can sign up to the CCO Club and once again receive access to the latest lectures, videos, and resource materials. This benefit does not include One-on-One support with a personal coach but that's ok because with the CCO Club, you can always ask the community for help along the way. And if you really need extended One-on-One personal coaching, we have plans available. Please contact our our Support Desk for more information. BHAT® is a proprietary system, which is used in connection with our educational services, created by Laureen Jandroep in 1999 that uses bubbling, highlighting and annotation techniques to help students quickly find key answers in their manuals during the open book CPC® exams. Instead of flipping back and forth between pages where the guidelines are, the answers are right next to the codes when a student takes the board exam. Students have stated the BHAT® system gave them the confidence they needed to pass the exam. Another plus: the BHAT® system helps coders in their day to day coding work after the exam as well! Once you’ve passed at least one AAPC exam, you’ll need to maintain your certification every 2 years by acquiring 36 CEU credits if you have one credential. A second credential bumps that requirement up to 40. We’ve taken that worry off your shoulders by providing 80 CEU opportunities throughout the CCO Club. Take the Monthly Q&A Webinars, for example. 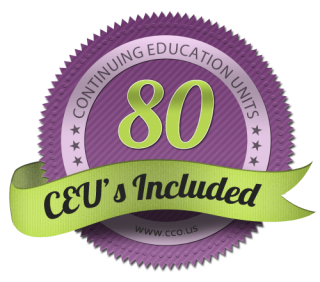 There are CEU quizzes available if you miss a webinar so you can still earn 1 CEU per month for the last year. That’s up to 12 CEU’s per year, just for being a member and watching our Monthly Q&A Webinar videos and passing the quiz at the end. Once you include the CCO Club Q&A Webinars and CCO Case Studies, you can expect even more opportunities inside the Club. The team at CCO is frequently hosting many Live Events and Support Calls every week. 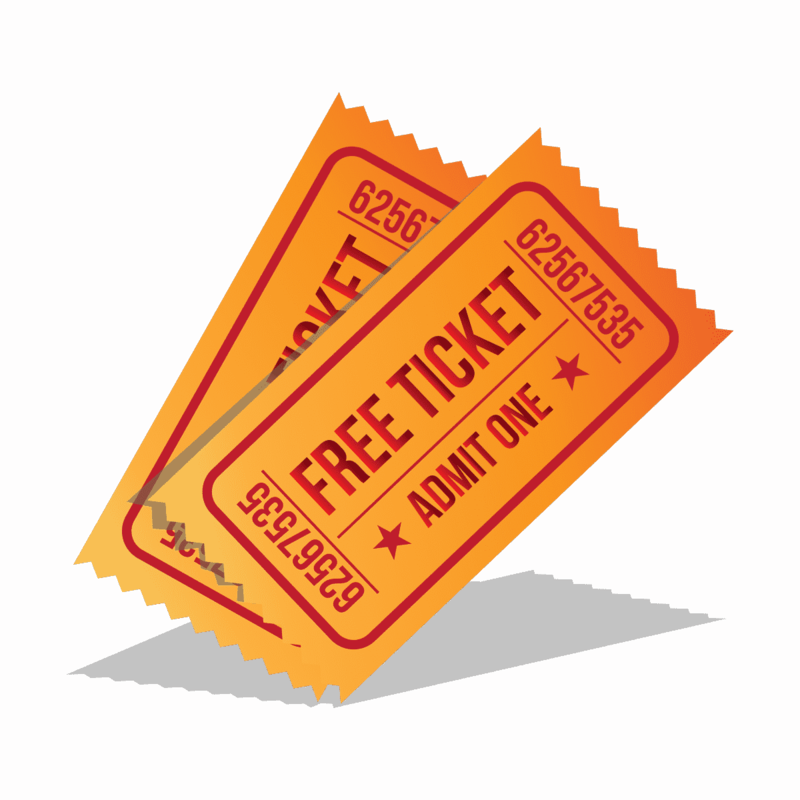 As a CCO Club Member, you will occasionally receive invitations to select events to attend and join in on the educational fun. You know what's even better? We're planning to make many of these select events and calls into CEU approved events. That means even more CEUs when it comes time to renew your certification with the AAPC. And once your done with the event, head back over the CCO Club to discuss it with peers, ask any additional questions that came up or post your thoughts and comments. Our CCO Club community loves helping out. Group Coaching is included inside our Community so you can ask questions about your Course, Review Blitz or Practice Exams and receive an answer from our Certified Instructors and Staff. Need help with a specific coding case? No problem. 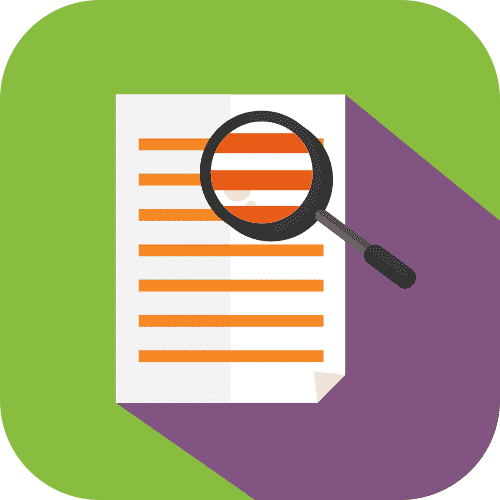 You can submit a redacted case to the community and CCO Certified Staff will review the case and assist you in finding an answer. Ask for help with Medical Coding, Billing, Reimbursement, Auditing, Risk Adjustment or Practice Management challenges you're facing on the job in our private community. We provide the full replay but for your convenience, we also extract each topic into it's own separate video for individual viewing – we call them “nuggets” :). Most nuggets with have “Test Your Knowledge” questions so you can confirm your understanding of the topics presented. Download, read and print the complete, word-for-word transcripts of every Q&A webinar and Support Call. Timestamps included! Can't remember the answers for a chat question? Or did someone else's catch your eye? We provide all the chat questions for just that occasion. Download, read and print the complete, answer sheets that each presenter used while presenting during the webinar. Feel like searching for a specific problem or code? No problem. You can search inside the club so you can quickly access the content or material you're curious about. Also includes E/M Progress Notes to Review! FindACode.com is an online database of medical billing codes and information. We twisted the arms of the good folks at Find-A-Code to be able to include this package including the ability for any notes entered by CCO subject matter experts to be made viable to our users. People use Find-A-Code to assign codes to medical diagnosis and procedures in order to be reimbursed by insurance companies and Medicare. Find-A-Code.com is a quick and easy system that uses a simple search to return accurate information. Rather than searching through 10 or more books, Find-A-Code has combined the information into one simple search. CCO has partnered with Find-A-Code to include the Professional plan with select CCO Club memberships. Every item in the Club has the ability to be rated and commented on. Clarifying questions can be asked and additional links and resources can be shared easily. What good is tons of content if you can't find it, right? That's why the CCO Club and Student Support Hubs can be searched by keywords so you can quickly find your answers. The club is mobile-ready. You can take your CCO content with you wherever you go. As long as you are connected to the internet, you can access the content and great conversation. Existing CCO students are going to love this! The Club dovetails with CCO's Student Support Hubs so you can easily go from the student hubs to the club in 2 clicks. Want to get updated every time there's a new post or reply to your comment? You can fully control exactly how you are (or aren't) notified with desktop sounds & notifications. The club also provides email updates. You can opt to receive a daily summary of all the activity or an instant notice each time something is posted or shared in the club. How many times do I have to pay the initial $499 payment? Do I pay it every time I pick a new course? 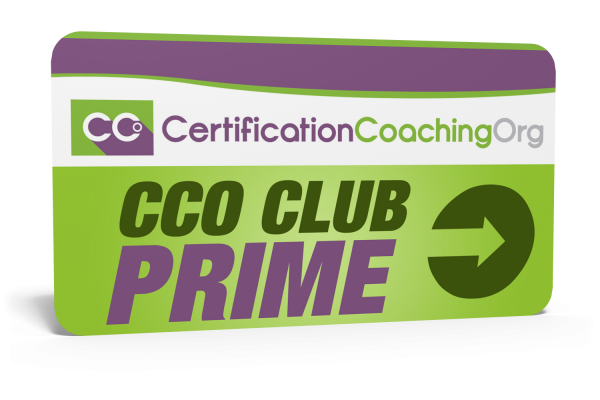 The initial $499 payment is only paid once when you join CCO Club Prime. After that initial payment, future payments are only $39.99 every 30 days and you can keep taking new courses as long as your membership is current and hasn't lapsed. How long do I have to make monthly payments? Do the payments ever stop or expire? You can remain a CCO Club customer until you're ready to cancel. There is no minimum or maximum amount of payments. As long as you're paying the monthly dues, you'll remain a member and your rate will be locked in. What if I'm a current CCO Club Basic member that wants to upgrade to CCO Club Prime? You will need to cancel your current CCO Club Basic subscription at http://member.cco.us. Then you can immediately sign up for CCO Club Prime using this page. You will keep your current Podio login details. If you ever decide to downgrade back to CCO Club Basic, we will honor your old pricing if your subscription has not lapsed or been cancelled for any reason. Can you withdraw my payments on a specific day of the month? Unfortunately, our payment system does not allow us to change your payment date once it's started. If you'd like your payments to start on a specific date, we recommend actually signing up on that date. However, please keep in mind that billing happens every 30 days. So over time, you can expect the actual billing date to change because of leap years and months with 31 days in it. Can I pause the monthly billing for emergencies, vacations etc? Unfortunately, CCO is unable to pause the monthly billing for any reason. You can always cancel the membership at http://members.cco.us, but you'll be required to pay any outstanding, missed months when you restart the membership. In addition, any lower, grandfathered rates or special pricing will be lost. Where can I see my billing or update my credit card? You can review your billing details and update your credit card by logging in at http://members.cco.us. Click Here to see a FAQ on the topic. Can I pay the initial payment over time? Or over multiple payments? No, we do not accept any payment plans for the initial down payment. It must be paid in full to join CCO Club Prime. Due to the instant availability of internet-based training, CCO does not provide refunds for any CCO Club related purchases. If you wish to cancel this membership, go to http://members.cco.us/ to login to the Member's Area. On the product listing page, you will see a “cancel” button beside your Membership. Click the button to cancel your membership. You will continue to receive access until your current enrollment period ends. We do not give prorated refunds. If I cancel, can I re-join the CCO Club later? Yes, but you will need to repay any missed months since your cancellation date. In addition, any lower, grandfathered rates or special pricing will be lost. How long does it take to get my Find-A-Code access after subscribing? Adding new CCO Club members to the CCO Find-A-Code account is a manual process and usually takes one (1) business day. If you have not received a system generated email from Find-A-Code within two (2) days please feel free to open a support ticket at https://www.cco.us/cco-helpdesk-request/. There might be slightly longer delays on holidays or weekends when CCO Staff is spending time with family. What if I already subscribe to Find-A-Code? Do you still offer the CCO Find-A-Code Essentials package? Effective Jan 21st, 2019, we no longer offer the Find-A-Code Essentials Plan. Do you offer a Find-A-Code Facility Package? No, we do not provide a Facility package for Find-A-Code. Please visit the Find-A-Code website to sign up directly with them. What if I don't need Find-A-Code or use another encoder? For your convenience, we offer plans without Find-A-Code access. We don't provide any discount or lower rate for those that choose not to use Find-A-Code. What is included in the CCO Find-A-Code Professional Package? Is the AHA Coding Clinic included? No. It is not included and is not available as an add-on purchase due to its prohibitively high cost per person. Can I get special Find-A-Code add-ons like CPT Assistant, Code-A-Note, Superbill Builder, etc? What if I just want Find-A-Code? What Course/Blitz/Practice Exam should I take? How many Courses, Review Blitzes and Practice Exams can I take at the same time? You can enroll in 1 Course, 1 Review Blitz and 1 Practice Exam at a given time. Once you've completed the course, you can request access to your next course by contacting the Help Desk for verification and next steps. Can I change Courses, Review Blitzes and Practice Exams after I select them? The purpose of this membership is to take committed action and pass a course. As a result, we will only allow course changes under exceptional circumstances. Please contact the Help Desk to see if you qualify. Do I have to start the course right away? You can start the course whenever you like. However, we are unable to pause or suspend the monthly payments while you are waiting to start. A long as you're a current member, you'll receive continuous access to the 1 Course, 1 Review Blitz and 1 Practice Exam you picked. Once you've completed the course, you can request access to your next course by contacting the Help Desk for verification and next steps. When you initially sign up, you will be given access to 1 Practice Exam. If you need additional exams after completing the first one, please contact the Help Desk. Any other item that is not a current Course or Review Blitz. Extended Access to Past Courses does not include personal, one-on-one coaching. Any questions will need to be posted inside the Student Support Hub forums (SSH) where one of our certified staff or instructors will respond. Are Textbooks or Manuals Included? No. Students will need to supply their own manuals and textbooks for the Prime membership. You're welcome to purchase from our bookstore or another supplier. Click here to see the books required for this course. Is Personal Coaching with One-On-One Email Access Included? No, CCO Club Prime does not include personal, one-on-one coaching with email access. Instead, Group Coaching is included inside our Community so you can ask questions about your Course, Review Blitz or Practice Exams and receive an answer from our Certified Instructors and Staff. Is This for Beginners? Do I Need to Have Medical Coding Knowledge to Join? The CCO Club is for everyone! It may be easier for those with medical coding knowledge to understand and grasp the content, but the more you are exposed to helpful coding examples, guidelines, and topics about the medical coding professions, the sooner you will learn it. Therefore, please feel welcome to sign up for the CCO Club no matter what level of coding expertise you currently have so you can learn more! We are very proud of the supportive environment our student support hubs have been and fully expect that to carry over to the CCO Club. In addition, the CCO Club provides healthcare workers such as front office clerks, medical receptionists, case managers, medical records clerks, transcriptionists, schedulers, research coordinators, nurses, caregivers or similar roles a great way to learn new topics and expand their knowledge of medical coding, billing, auditing, risk adjustment, compliance and more. Do I need to be credentialed to utilize the CEUs? If you are not certified then CEUs are not needed however anyone can take the quiz to test their knowledge, and all are welcome to join the Club to enhance their education and network with peers. And once you get your certification the videos and CEU quizzes will be waiting for you. Will I Get a Separate Login to the Club? Yes! We use a platform called Podio and you will receive a separate email. You can see a sample of it on this FAQ.